It’s a home day for me with the flu, so to recover from a long day of videoconferencing meetings, and because a headache won’t let me concentrate on important stuff, I played around with an idea I wrote up as a high school English project. Milton wrote the epic Paradise Lost, in which he presents his own cosmology of Heaven, Hell, and Earth. This was an ambitious task, since Dante’s Divine Comedy had set a pretty high standard here. The geometry of Creation in the Divine Comedy (not to scale) with Hell inside the Earth and heaven outside the final sphere in a Ptolemaic universe. Milton actually met Galileo in person—he visited Galileo’s estate as a boy when the astronomer was there in his later years under house arrest. The “prime Orb” is Ptolemy’s name for the Sun, which had (“incredible how swift”) there “rowl’d Dirunal”—rolled down there over the course of the day. But Milton did not choose his words lightly. “Incredible” literally means “beyond credibility”. He doesn’t buy that it really goes so fast. Is there an alternative? Milton dithers. “Or” he writes “this less volubil Earth” (meaning “less apt to roll” according to the OED) went a much shorter distance the other way and the Sun just stayed where “he” was. That’s Copernicus’s model for the days! So he clearly prefers Copernicus’s model, and offers it as an alternative, but opens with the more familiar and established terminology and cosmology of Ptolemy (and Dante). It’s interesting he didn’t commit. Perhaps he didn’t want to tie his work to a model that might be wrong, or perhaps he didn’t want to alienate his Ptolemist readership. 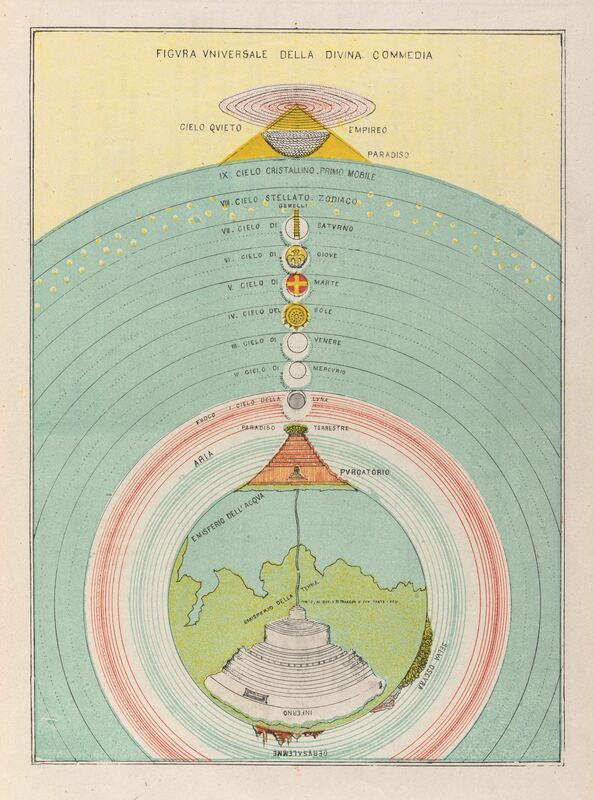 I wonder, though, if heliocentrism had been widely accepted a century before, if Paradise Lost would have had a well defined geometry of the universe, like the Divine Comedy famously does, but with Heaven and Hell having distinct places in a heliocentric Solar System? This entry was posted in science, Uncategorized on January 31, 2018 by jtw13.